So as I go to Survey Monkey today to find the results from last weeks final four I find I never activated the survey!!! This means that we're going to rewind and start last week over! Too high of hope huh? So here we go Boy Band Madness Week 3 take 2! After a surprising upset by the underdog LFO against heavy hitters N'Sync. This week the bad boy brothers of Hanson hope to knock LFO off their winning streak. Boys versus boys this week ... 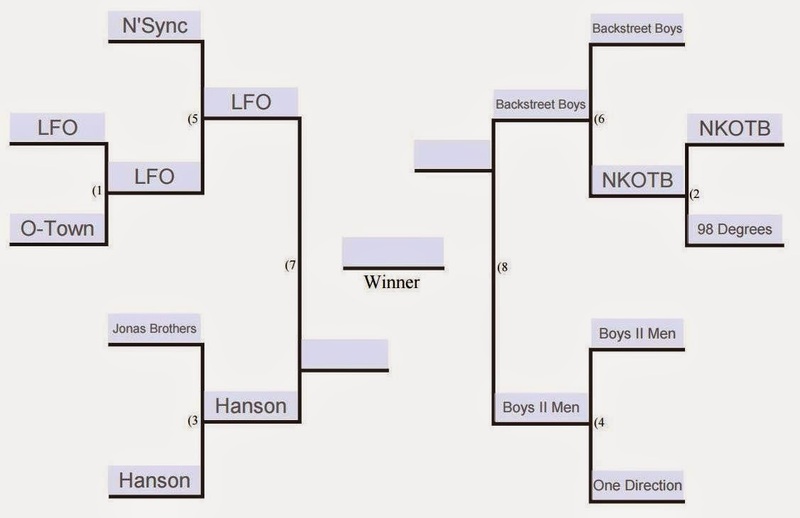 I don't know about anyone else but this is one of the most difficult match ups to date here in the Boy Band Madness.